← 5 June 2016 Preserving Vegetables. 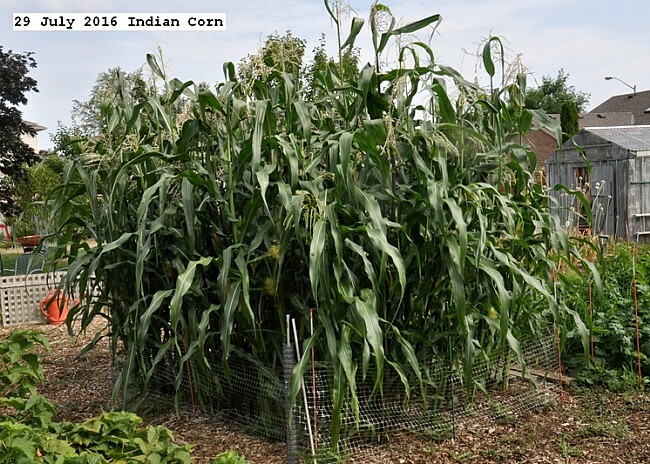 The patch of Indian corn is thriving. No bird or squirrel damage. Some stalks are ten feet in height. The Indian corn is up about three inches. All grew. No bird damage so far. 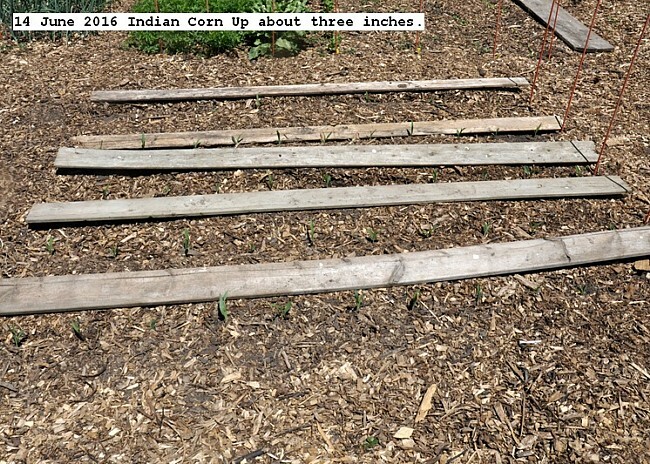 Five rows of Indian corn, colored, was planted. This will give about sixty plants, which I use for making nixtamalized cereal. The seeds were placed in water in a warm place for about 30 hours to sprout prior to planting. Spacing was 8 inches and depth about 1.5 inches. The boards will be placed over the small shoots for a few days to discourage birds. 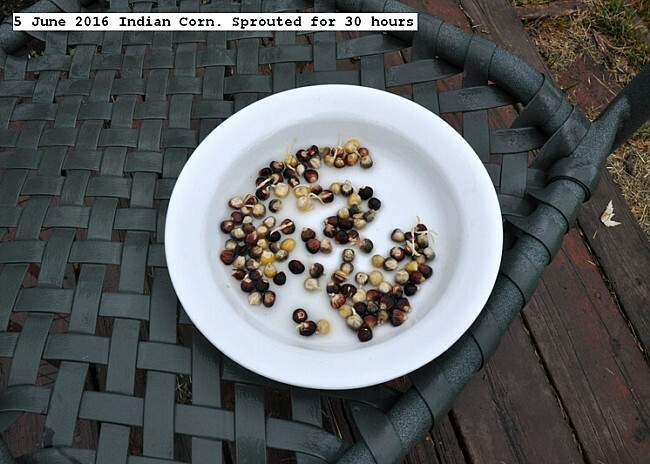 This entry was posted in Uncategorized and tagged 29 July 2016 Indian Corn, 5 June 2016 Indian Corn, Colored corn, Indian corn. Bookmark the permalink.